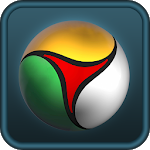 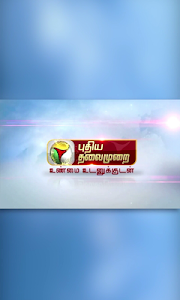 Puthiya Thalaimurai TV is a 24x7 Live News Channel. 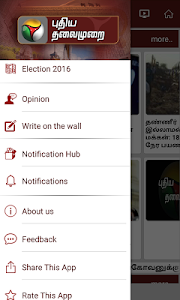 Due to its independent editorial stance it became extremely popular in India and abroad within days of its launch and continues to remain so till date. 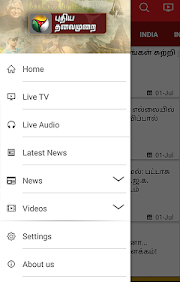 With this app New Generation Media gives live and current information from the channel broadcasts News on Sports, Business and International Affairs. 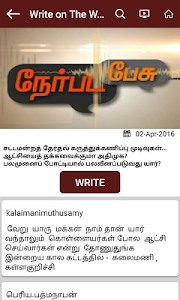 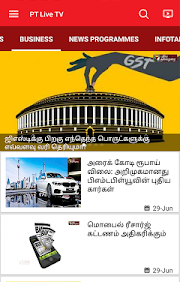 Puthiya Thalaimurai Android App gives you latest Live News Videos from Tamil Nadu, India, World & Districts News, Sports News & Business News update and Current Affairs Programmes. 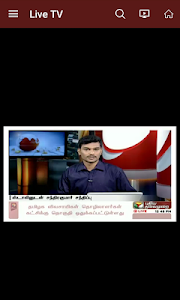 Similar to "Puthiya Thalaimurai TV"